Diagramming sentences is one thing I never had to learn in school. I think my sister had to do it, but being two years younger, by the time I got to that class they had discontinued it. Yippee! I never understood the need to do this and resisted learning it. A sentence either made sense or it didn't. All this diagramming was pointless. I comprehended things pretty well without it. Watts wrong with Duff's post? Eye don't sea it? Hey, not to steal any thunder from Mr. Duff, but, we are ALL "old school" here so I caught his hilarious homonym two. Well done! OMG, Duff! The last sentence in post was/is great! Almost fell out of chair. I wonder how many caught that little gem of yours. I taught English in high school for thirty years, and I never once had my students diagram sentences! 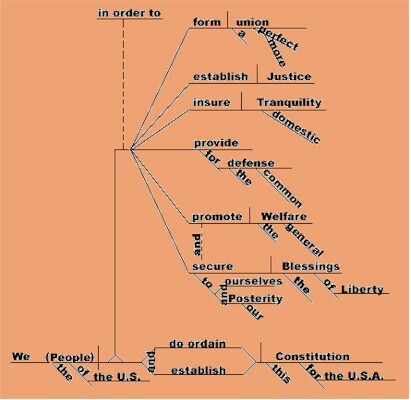 If it wasn't a "simple" sentence, then diagramming them was a lost cause to me. I wrote a report complaining about the fact I'd never diagram another sentence after I graduated from high school--and I haven't in almost 40 years. Judging from some of the correspondence I receive, today's students hardly learn to spell, let alone understand proper grammatical form. Yes, your word processor's spell checker may catch many of your typos, but it will often let a homonym slip by undetected. So their!